As I have mentioned quite a few times in my earlier posts, Google has constantly modified its search layout to incorporate various components that could be of great benefit to the users. Talking about the non-paid listings, we have seen things like Knowledge graphs, featured snippets, reviews and ratings, live score snippets, top stories, AMP pages, map listing, local listing, Twitter snippet, Google Plus snippet and what not. Last night I noticed a beautiful carousel of ads related to HotStar and tweeted about it. IPL 2017 has already embarked on in India. This T20 cricketing extravanganza has been a huge success and extremely popular amongst the cricket fans around the world. The official live streaming of IPL 2017 is available on HotStar in India. 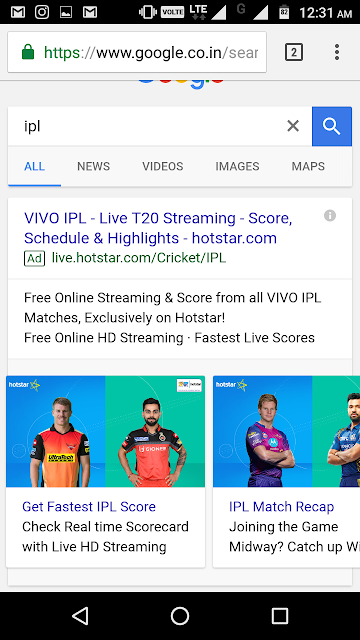 It seems HotStar has entered into a tie up with Google to showcase such a beautiful ad carousel for certain search terms related to HotStar and IPL. Here are few screenshots. 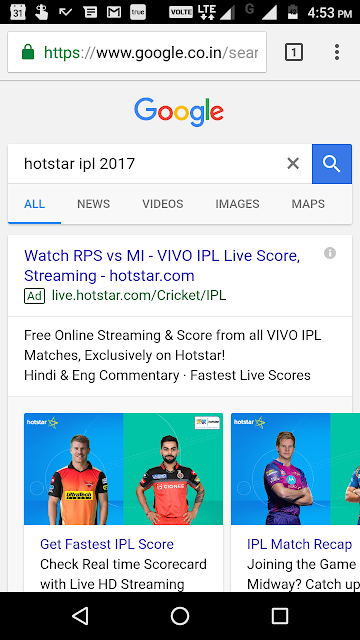 Note - this is available only on Mobile Search. Just have a look at the following screenshot. 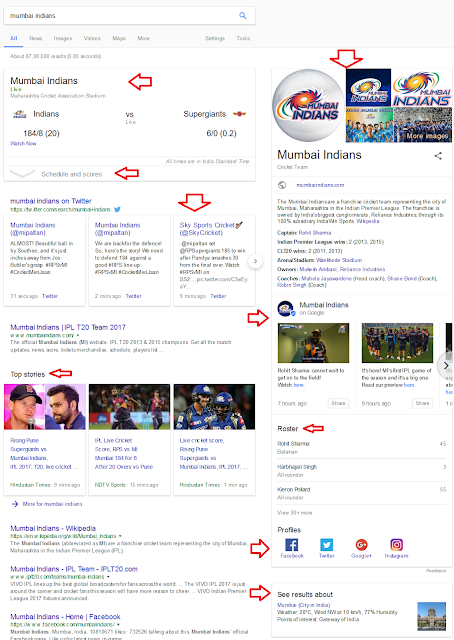 All the additional features in a Google Search Layout are marked using an arrow. Live score, schedule, twitter updates, Google plus updates, Knowledge graph, team roster, etc. Everything to make a searcher's life easier! In January, I wrote about an ad listing with a format that was never seen before. 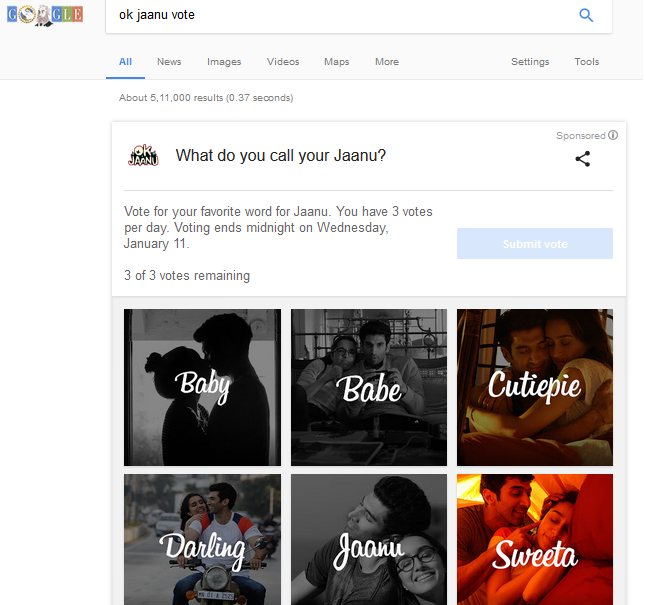 It was related to a movie promotion where Google showed a contest right above the organic listings. 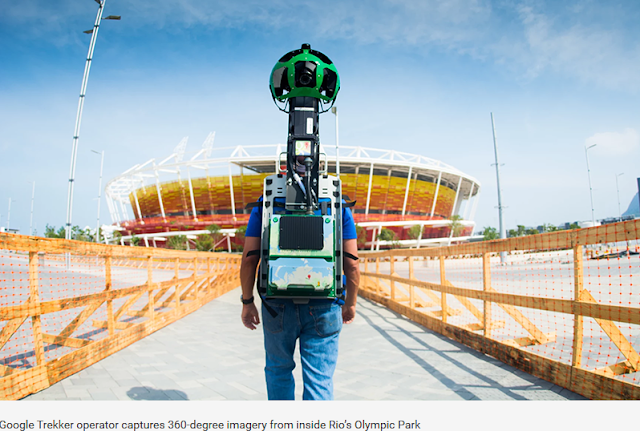 Google also did a great job by covering the Olympic Games Rio 2016. 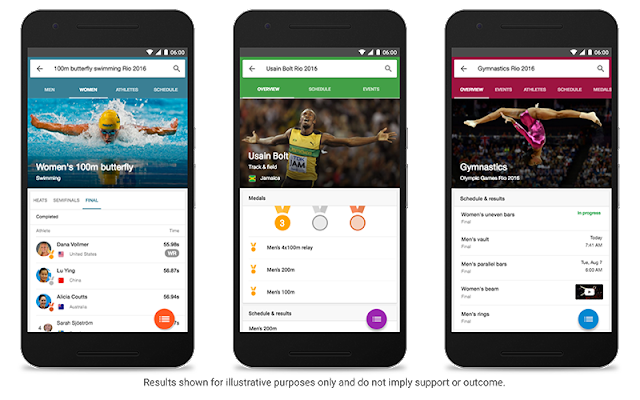 The feature added for Rio Olympics 2016 in search results was one of the best by Google you would ever see. Certainly, many more such features to come!